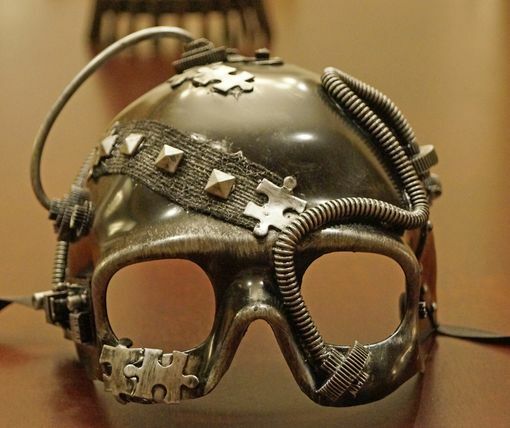 Road Warrior half steam punk mask has wires, gears, and computer micro chips built into the mask. Made of a durable molded resin and is hand painted silver and black to give an industrial look. Secures with black ribbon ties. Comes in two colors.